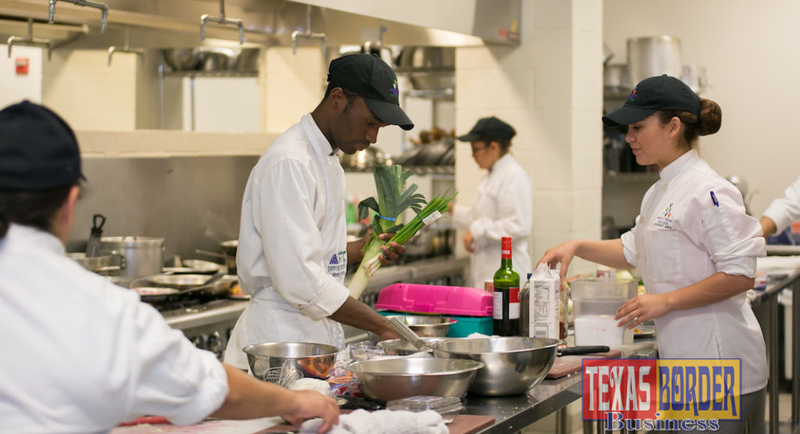 Housed at STC’s Pecan Campus, the Culinary Arts program offers four industry-focused degree and certificate programs that focus on giving students the practical skills they need to meet the workforce requirements of regional and national employers. 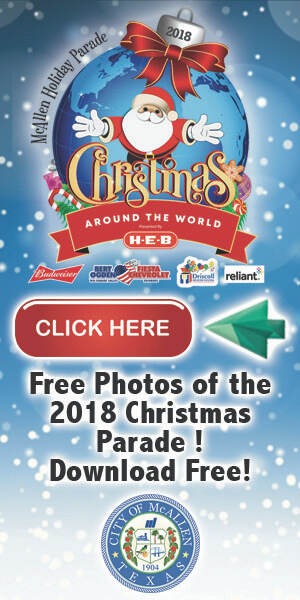 MCALLEN, TEXAS – Valentine’s Day is around the corner. Soon, across the country, amateur foodies and executive chefs alike will be scrambling to prepare the perfect romantic dinners. But according to STC Culinary Arts Program Chair Jennifer Guerra, cooking the perfect dish isn’t about what comes out of the oven, but what goes into the dish. Guerra has been passionate about food since she was a young girl, and it is this passion that she most enjoys sharing with her students. Housed at STC’s Pecan Campus, the Culinary Arts program offers four industry-focused degree and certificate programs that provide students the practical skills they need to meet the workforce requirements of regional and national employers. As demand for culinary arts professionals continues to grow across the country, programs like STC’s play a critical role in making sure regional employers have the professionals they need to prosper. Not only is Texas the fourth largest employer of chefs and head cooks in the nation, demand is projected to grow at a rate of 10% by 2026, faster than the national average for all jobs. As Guerra points out, addressing these national and regional needs is a hallmark of the program’s approach to career education. “We work very closely with our community through an advisory board,” explains Guerra, who is also owner of Bread and Butter, a bakery and cafe located in McAllen. Based on feedback from this advisory board, Culinary Arts is currently revising its curriculum to better meet the needs of the region and its students. In addition to listening to regional stakeholders, the program is also responsive to students—the new Associate in Applied Science with a specialization in Baking and Pastry Arts is a case in point. As local Cynthia Cakes owner Cynthia Ebrom knows, that passion not only makes for great cooks, it also makes for great employees. Ebrom, whose famous cakes have been sold around the world, hires only STC Culinary Arts graduates. Why? 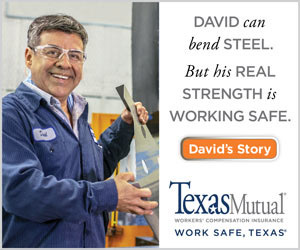 Because in addition to their professionalism and skill, they are passionate about what they do. One of those hires is STC alumna Rosabel Alvarez, who graduated in 2015 with a Certificate of Achievement in Commercial Baking and was Ebrom’s first STC hire. Like many career education graduates, Alvarez came to STC because it offered her quick and affordable entry into the workforce. “My son was very sick at the time and I needed to find work to help support my family,” remembers Alvarez. “All culinary students have to do an internship, and I did one with Ms. Cynthia and I ended up being one of the first STC graduates she hired. Now, there are 4 of us here. Jaime Martinez, another STC graduate and owner of Sweet Blessings Cheesecakes in La Feria, is similarly grateful. After a severe condition that required a kidney transplant forced him to quit his full-time job at AT&T, Martinez returned to school and completed a certificate in commercial cooking. Five years after his transplant, Jaime opened Sweet Blessings, a dessert catering business that offers over 40 cheesecake options for events of all types. Martinez credits his success to his training and his passion for what he does. For Guerra, who herself has held every imaginable restaurant position throughout her career, giving students the skills they need to be successful is what career education is all about. Over the next year, Culinary Arts will be adding a new lab and two new instructional kitchens to expand its ability to help more students find work in this ever-growing industry. But as Guerra emphasizes, her goal as an educator is not only to help students find jobs, but to find something more. This Valentine’s Day, whether you find true love or just a dessert you really like, this much is true: STC’s Culinary Arts program will continue to take great pride in turning the passionate students of today into the skilled professionals of tomorrow.